Commercial beach umbrella with a 7.5 foot octagonal acrylic top and 1.3 mm coated aluminum pole with 5 mm steel ribs. Features a manual pulley system that is easy to use. 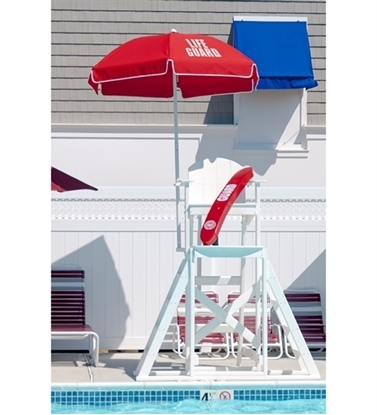 Our steel beach umbrellas have a pointed aluminum pole for placement in the sand. This umbrella is available in a variety of fun colors for the beach!